In celebration of National Gum Care Month, Drs. 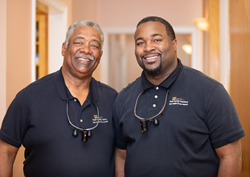 Jonathan Nash and Kenneth Nash are encouraging those with untreated gum disease in Vicksburg, MS, and the surrounding communities to consider the value of minimally invasive laser dentistry treatments. According to the Centers for Disease Control and Prevention (CDC), approximately half the population in the United States has some form of periodontal disease.